Q: What do you like about the Carrotmob movement? A: It’s a positive way of encouraging better business practices. It links really well with the vision of our organization. 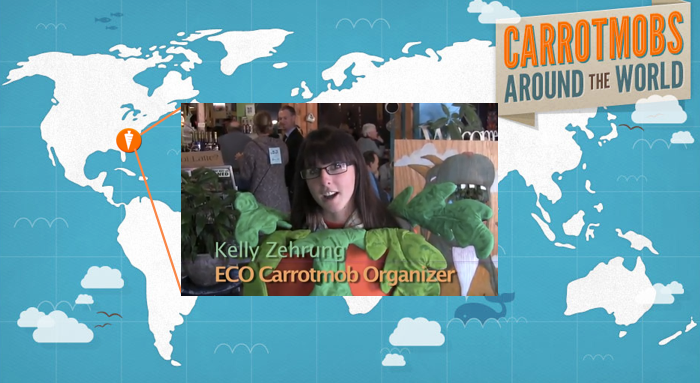 A: I Carrotmob because it shows the business community that there are consumers out there that care. Q: Which campaigns were you involved with in 2012? A: We did a 3-city nationwide Carrotmob in New Zealand that raised over $2200 for a solar power system for a Coffee Farm in Papua New Guinea. 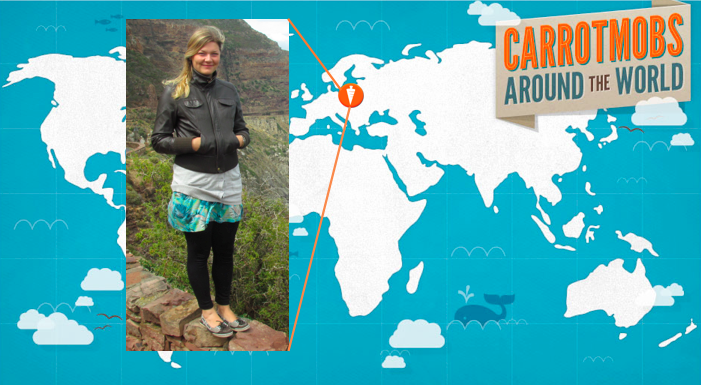 Q: What are your 2013 Carrotmob plans? 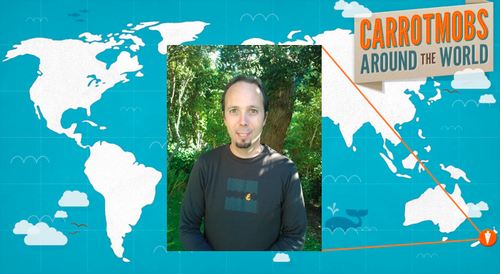 A: We want to do a fully across-the-country Carrotmob with over 10 cities taking part. We also have ideas for a virtual Carrotmob where people buy specific products from stores over a period of a week like fairtrade bananas, organic milk etc. and log their purchases at the product stand and on their smartphone.